One of the next steps we want everyone at the Suncoast to take is to get into a Group. Groups are smaller gatherings of people from the Suncoast that meet during the week in the spring, summer and fall for 8-weeks at a time. During each semesters, you will dig deeper into Sunday’s message and how it applies to your life. You will learn from the experience of others. You will serve the community together and give to a cause your group chooses. These groups are the perfect environment to meet people and feel like you are a part of your church. When you serve at the Suncoast you’ll experience what it means to get outside of yourself and be a part of something bigger than you. Your contribution matters as we continue to grow this church and reach out to others. You can make a difference with your one and only life and as you do you’ll notice a difference within your own heart and life. Serving is also a great way to meet people. Contact Crystal at crystal@churchofthesuncoast.com for areas you can plug into right now! There is no doubt that small things done with great love can change the world. An intentional act of kindness with no strings attached is a great way to show the love of Jesus to those around us. With each act, leave one of our ACT OF KINDNESS CARDS (available each Sunday) to let them know that God loves them. Kindness builds the bridge for the person to receive a touch of love from God. It’s simple, practical, effective, inexpensive and fun! Pay for someone’s Starbucks behind you in the drive-through. Send a note to someone with a gift card inside. Many people don’t feel comfortable sharing their faith journey with others. So, at the Suncoast we are not asking you to do that. We are asking you to care about the people around you. Intentionally, curiously, and genuinely invest in those people and then when the time is right, invite them to this place where they will discover they matter to God. Grab some invite cards as a tool to do this with on Sundays. Baptism was a Christ-Followers next step in the Bible. Baptism is a simple celebration that symbolizes being dead to an old way of life and alive in new life with Jesus. For more information on baptism, shoot us a question HERE. *At the Suncoast we dedicate children instead of baptizing them. We want each person to be able to make a faith decision on their own once they are old enough to understand about faith in Jesus. Dedication is a simple celebration where we dedicate ourselves as parents and as a church to raise this child in a Christ-Following environment. For more information on dedication, shoot us a question HERE. 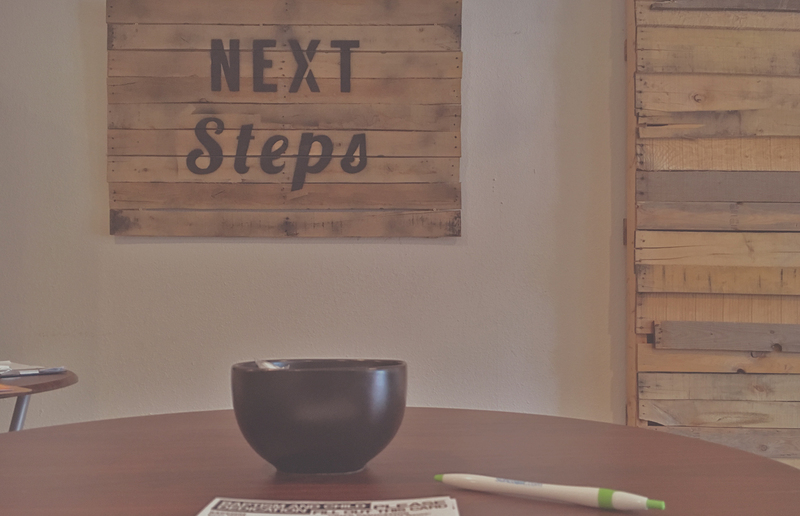 Our purpose here at the Suncoast is to help people take their next steps with God. We will always be the kind of church where people can find hope, forgiveness, and purpose in Jesus. And, we love to hear about it! We never get tired of hearing how God is working in your life as you take next steps. If you have encouragement or story of life change (a next step you are taking) please tell us HERE. As Christ Followers, we believe that we are stewards of God’s resources because He is the owner of all that we have. Throughout scripture, we are reminded of the importance of giving back a portion of what God has so generously provided. His word tells us that giving is an act of worship that should be done with a spirit of thanksgiving and it is a sign of true spiritual maturity. At the Suncoast we have several ways that you can give to God’s work through your tithes and offerings. You can give by cash, check, or card on Sundays. You can mail a check to us (PO Box 1031 Odessa, FL 33556). You can give securely HERE on our website. Or, maybe the best and easiest way, is to fill out an auto give form at Next Steps in the lobby and make your giving effortless all year long. We all need a neutral, third party to talk to sometimes. From pre-marital counseling to marital counseling, from past hurts to current habits, we work with the amazing people at Life Connections Christian Counseling. Tell them you were referred by Church of the Suncoast. Serves 200 – 250 homeless EVERY Monday night at 7pm. Arrive by 6:40pm and sign in at the gate. Serve food and help pick up afterwards. Only takes about an hour! Helps those in crisis with food, clothing, and supportive services. Help sort and stock donations, or other services to those in need. Provides basic support and hope to those who need it most. They focus on families, the elderly, and the homeless.